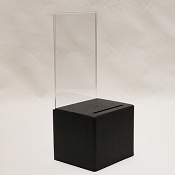 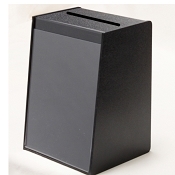 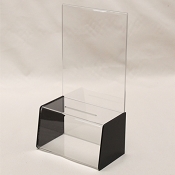 Includes: 1 Plastic Suggestion Box with Lock - 6" x6" x 5.25"
5 Suggestion Pads - black ink, 50 sheets to a pad, glue bind, 4.75" x 3.5"
These entry boxes, comment boxes, suggestion boxes, donation boxes, and collection boxes serve a number of different uses. 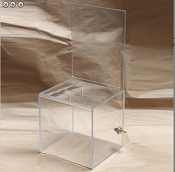 These boxes can be used in businesses, in clubs, organizations, non-profits, or even at home! 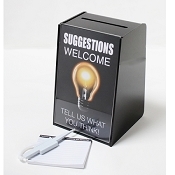 Get people involved, ask for their input, collect their thoughts. 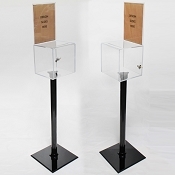 These suggestion boxes enable you or your business to integrate other people and let them contribute to the whole establishment. 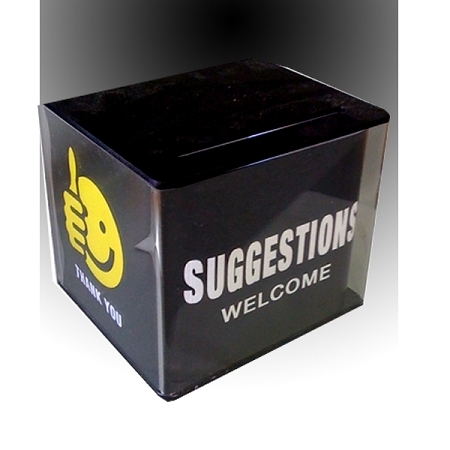 Whether it be a comment, dontation, suggestion, or entry - it makes other people feel good to be involved.